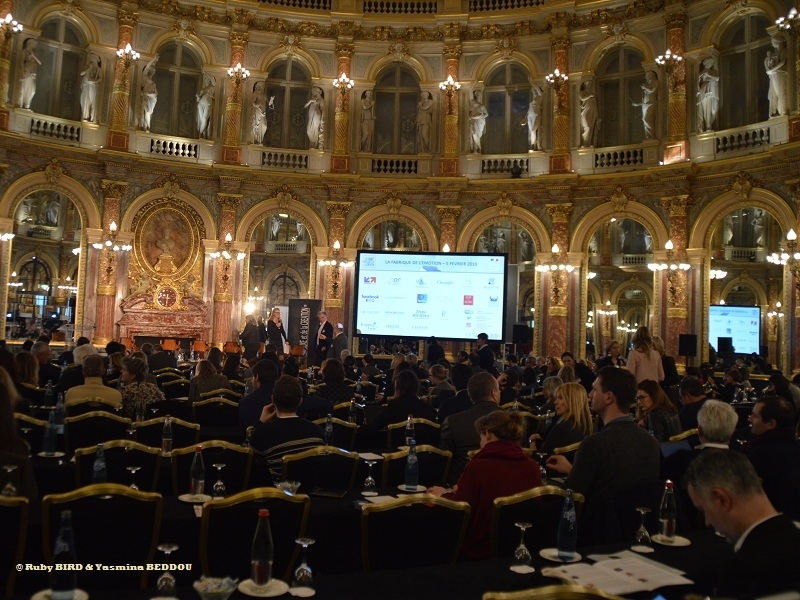 USPA NEWS - Was held on February 5, 2019 at Hôtel Intercontinental Paris Le Grand (France), the Event "DESIGNING LUXURY" as Theme of The 17th Centre Du Luxe Et De La Creation Summit (organized by Le Centre Du Luxe Et De La Création). 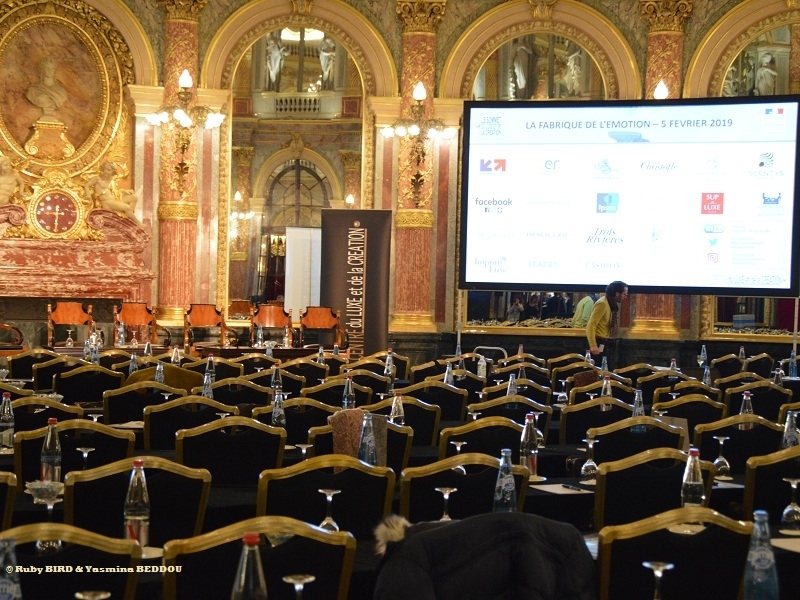 Was held on February 5, 2019 at Hôtel Intercontinental Paris Le Grand (France), the Event "DESIGNING LUXURY" as Theme of The 17th Centre Du Luxe Et De La Creation Summit (organized by Le Centre Du Luxe Et De La Création). It was the Occasion to bring People together from Diverse Backgrounds at this Summit. 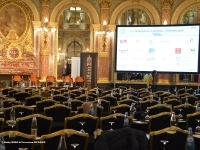 This Annual Event provides an Opportunity for Open Exchanges and gathers Emblematic Designers, Entrepreneurs, Investors in the Luxury Sector, Policy Makers, Research Officials, Sociologists, Philosophers and Members of the Press. 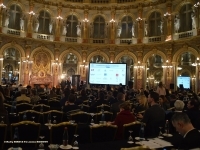 A Much-Anticipated Annual Assembly, the Summit stimulates Ideas, Projects and Trends that intensely nurture the Development of the Luxury World. The Program of DESIGNING LUXURY : Make Exceptional Products endowed with Incomparable Creativity and Know-How telling us Beautiful Stories and giving themselves to us through Captivating Rituals… These Ingredients of Luxury don’t reveal the Secret Recipe. It should be said that Luxury has a Specific Skill all Other Businesses would like to have: it arouses Emotion. Based on Beauty, Exclusive Feeling, and often the Rarity of the Object or of the Service, this Emotion is nowadays the Driving Force of "Added Life" that Luxury provides to those enjoying it. *** How to create this Art to please, to arouse Desire ? What are the Secrets of Emotion Factory ? *** Are there Emotions Strategy ? And how to handle Authenticity and Experience Creation ? *** Are the Influencers the New Vector of Desire for the Products: are we moving toward a Mimetic of Emotion ? *** Can we control the Emotion to better catch the Attention of more and more Volatile Customers ? What are the Promises of CRM in the Context of Big Data and AI ? *** How to transmit Emotion and "Build" a Transaction and a Sincere Relationship with the Customer ? *** Is the Creation of Emotion a Transmission of the Culture and the Values of the Brand ? THE POWER OF EMOTIONS : Luxury Issues in 2019. Issue of Authenticity in the Customers Relationship, Emotion is the New Grail of Luxury Brands. The Luxury and Creation Centre, in association with its Partners, was putting forward Decoding Studies of the New Stakes and New Usage (Artificial Intelligence & Big Data, Social Network, Emotion Measures). AUTHENTICITY AND COMMITENT : Keys to Emotion. How to emit a Constant Emotion and never lose your Identity when you are a Global Brand ? How to handle Authenticity and Experience Building ? What are the Undersides of the Factory of Emotion ? The Product is always the Key to Emotion by its Quality and the Aura Creator of which it is the Reflection ? 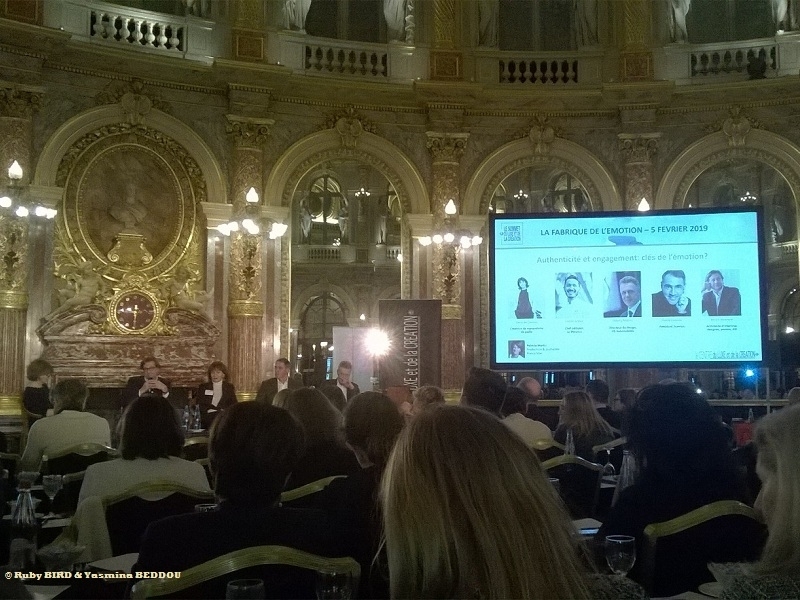 SENSE AND SENSIBILITY : Transformation of the Business Models of Luxury. Globalized but Personalized, International but Unique, Trendy but Elitist, Hand-Made but Integrating New Technologies, how does Luxury solve today the Paradoxes of its Development and Changes its Business Models ? How does it reconcile Sense and Sensibility, growth Stakes and Niche Logic ? How to deliver a Constant Emotion while not losing Authenticity and Engagement when we are a Planetary Brand ? What are the Uncover Secrets of the Emotion Factory ? Keynote FACEBOOK : "Instagram : from Connection to Emotion" with Cédric Atlan, Director of Creative Shop, Facebook Southern Europe. THE CRM OF EMOTION, BIG DATA, AI & INFLUENCERS. Is there a CRM of Emotion ? Is it possible to build the Customers Emotion based on Thousands of Data available ? With the Emerging Actors of the New Dimension in Terms of Analysis and Understanding of the Customers, is needed an Overview on this New Ecosystem. *** Luxury Goods need to stand on their Own. Each Brand should be marketed as a Unique Product. It should not be positioned in Relation to a Competing Brand. *** Luxury Brands should facilitate Dreams. Therefore, the Brand should not pander to the Consumer’s wants and needs. The Brand needs to set the Standard for the Consumer’s Aspirations. *** Luxury Brands should not only cater for a Specific Target Audience. They should have a Global Reach. Therefore, Marketers should consider using the Influencer Marketing Concept carefully as it will reduce the Luxury Brand’s Scope and narrow it down to a Specific Target Audience. The Open and Inclusive Nature of Internet would at first seem to work against the Exclusivity that is so Important to Luxury Brands, but that is not the Case. Luxury Brands have been able to harness the Power of Digital Marketing to reach out to their Target Audiences while also increasing the Wider Recognition and Mythos of their Brand across the World. The Aim of the Marketing Game for Luxury Brands is creating the Highest Brand Value and Pricing Power through leveraging Distinct and Brand-Specific Elements such as Heritage, Rarity and Innovation. The Internet allows Brands to do this on a much Larger Scale than ever before, making Products more Desirable as ever more People are drawn into their Orbit. When it comes to conveying luxury, however, photographs and videos are of the upmost importance. This would seem to indicate that Pinterest or Instagram would be useful networks to use. Instagram is particularly popular with young consumers who, while pershpas not being able to buy your products, are critical in building up a sense of mystique and desirability. *** Technology may have revolutionised the Retail Sector, but the Next Question facing Luxury is how to effectively harness Tech Innovations to connect to Consumers, without isolating them. *** Consumers are increasingly Sceptical, and crave Authenticity and Honesty. Luxury Brands are well placed to fill this Gap, if they leverage their Heritage to engage with Communities. *** As Retail Pivots towards the Experiential, the Nature of Experience has shifted, and there is an Increasing Need for Innovation to appeal to the Consumer. Hardy Similarly stresses the Importance of Cultivating Meaningful Experiences. 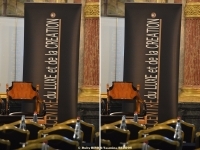 *** Importance of an Equal Division of Creative and Commercial in Luxury Businesses to thrive. 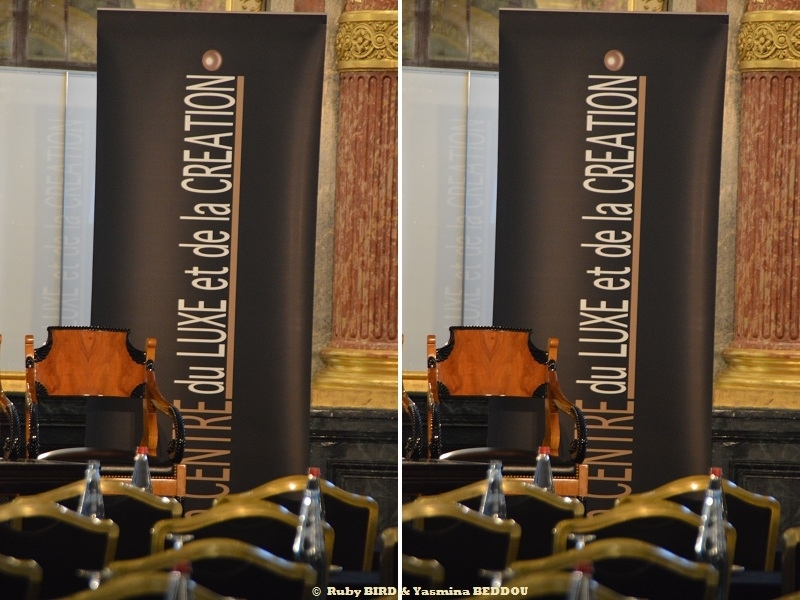 Source : DESIGNING LUXURY - 17th Centre Du Luxe Et De La Creation Summit. 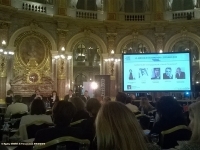 On February 5, 2019 at Hôtel Intercontinental Paris Le Grand (Frace).